Are you thinking of trading in your current vehicle for something more stylish and sporty? 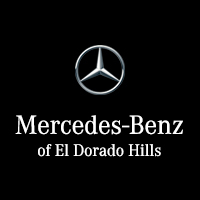 Then finance a 2018 Mercedes-Benz AMG® C-Class sedan or coupe from Mercedes-Benz of El Dorado Hills. Offered in AMG® C 43, AMG® C 63, and AMG® C 63 S variants, this world-class small luxury sedan can be fitted with a pair or robust AMG® V6 and V8 powertrains, as well as an AMG® suspension and transmission. Check it out for yourself near Rancho Cordova, CA today near Folsom, CA at our dealership in El Dorado Hills, and contact us with questions anytime! Take Home the 2018 Mercedes-Benz AMG® C-Class Today! Find out more about the 2018 Mercedes-Benz AMG® C-Class sedan and coupe variants, and take them for a test drive near Gold River, CA at Mercedes-Benz of El Dorado Hills. As a proud member of Von Housen Auto Group, we can assure you quality in terms of both service and products. Get competitive financing, professional Mercedes-Benz maintenance and repairs, and a proven track record of excellence right here at our dealership near Gold River, CA!